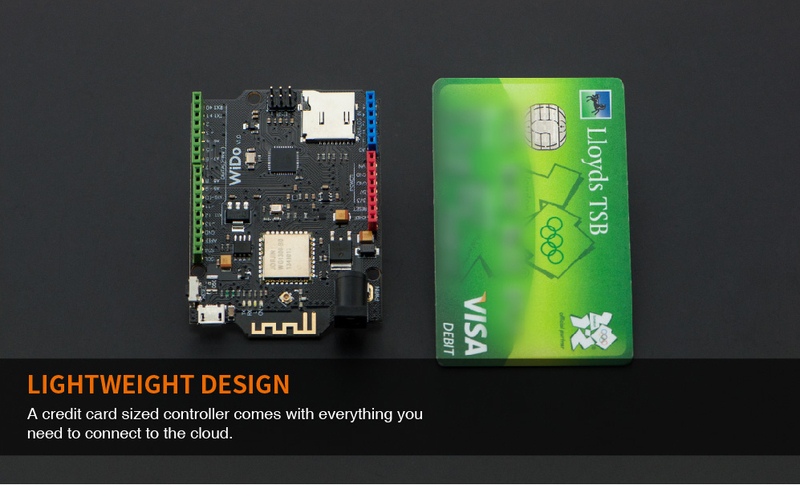 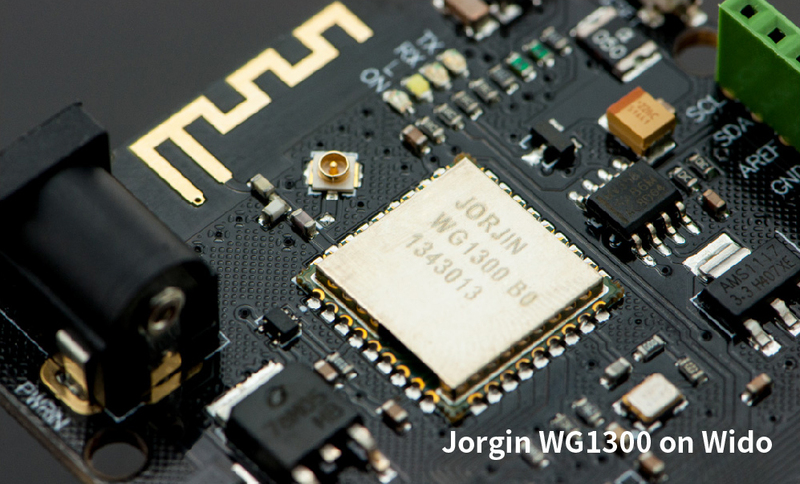 Finally - an Arduino-compatible board with onboard WiFi! 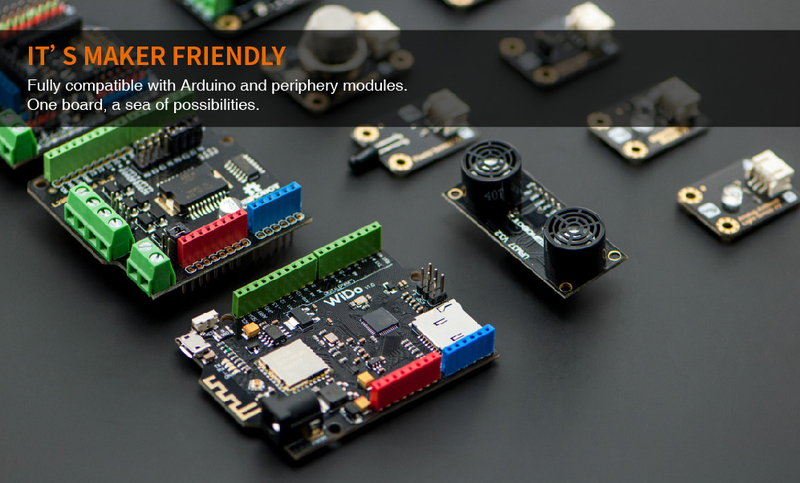 It's easy to setup, with an Arduino library and example sketches you'll be connected in no time at all. 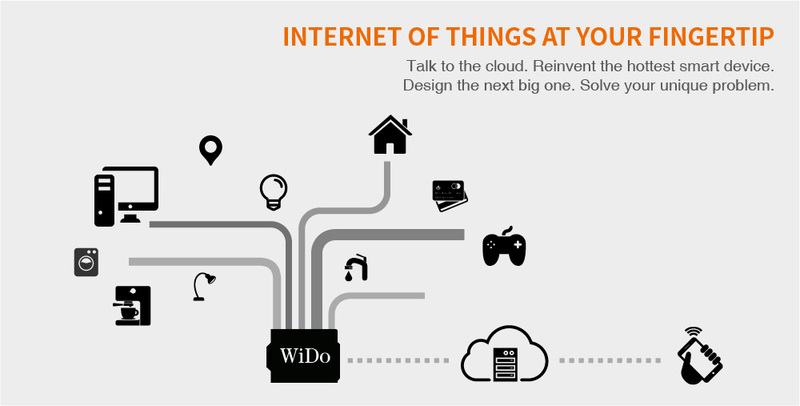 Click the button below to add the DFRobot WiDo - Open Source IoT Node (Arduino Compatible with WiFi) to your wish list.